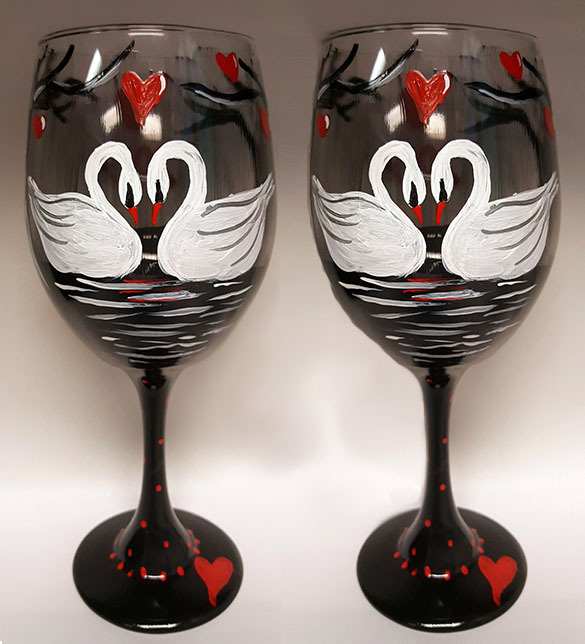 MAY 25TH 4:00 PM SATURDAY - BRICK TOWNSHIP STUDIO BYOB " SWEETHEART SWANS"
> MAY 25TH 4:00 PM SATURDAY - BRICK TOWNSHIP STUDIO BYOB " SWEETHEART SWANS"
our paints can stain clothes, shoes and accessories. You will be guided through your painting step by step to complete your masterpiece. Our instructors are local artists and art teachers that love to guide and inspire creative expression. No art experience is needed! Our studio is also available for private events and fundraisers.